Nha Trang has been so famous for its beautiful beaches and amusing destination that is so ideal and suitable for a beach vacation. Its popularity is also recognized by tourists especially foreigners. However, relatively a few people might know that not far away from Nha Trang, there is a place where the beach is charming and turquoise, the sand is chalk white and the atmosphere is much more peaceful. If you have free time in Nha Trang, it would be a great choice to reach this site and enjoy a wonderful time there. It is the Doc Let Beach. 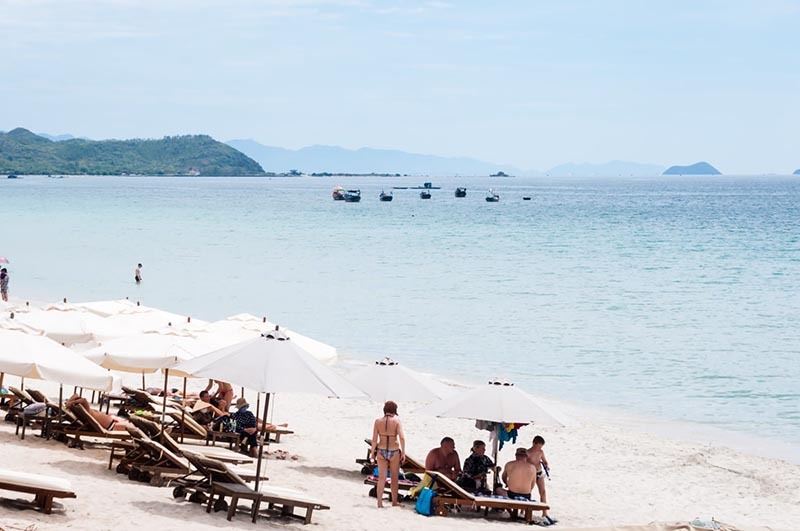 Doc Let Beach – fifty kilometers north of Nha Trang, sometimes spelled Doc Lech, and actually pronounced “yop lek” – is an idyllic stretch of coast ended by a rather unsightly Hyundai shipping port. This giant bay can be divided into three sections. The northern part is where most of the tourism action is, with a cluster of beachfront hotels and cheaper guesthouses inland. Looming over the central section is the giant Hyundai shipyard and port, an important local employer but a real blight on the landscape. The isolated southern part is backed by a wooded promontory and has the best stretch of sand famously known as Jungle Beach. It is highly recommended that you should visit Doc Let beach from January to September and avoid reaching there from October to December because of the cold weather and the northeast wind. On your own wheels from Nha Trang, the most direct way is to head north on National Route 1 (Quoc lo 1, or abbreviated as QL 1) to Ninh Hoa, approximately 38 kilometres from the city centre. Head east on QL 26B to get to the very isolated southern end (Ninh Tinh village, Jungle Beach) or veer right onto DT652B/TL 1 which will take you to Doc Let, where there is more local civilisation and activity. Either spot you choose, prepare to laze away the day. You can discover the beauty of Doc Let Beach in just one day. If they still like it, it is possible that you can sleep overnight at the beach with the peace, the rustling sea waves by camping on the soft white sand as long as they keep in mind that they should choose somewhere higher so that the sea wave will not reach. Or you could also rent a luxury room at nearby resort in Doc Let beach. Coming to Doc Let Beach, there are various activities, not to include bathing which is inevitable. It will be great for you to get up early and walk along the beach coast to catch a moment of sunrise so charmingly and glamorously. Together with the beauty of the sea and the sand and those coconut trees, Doc Let beach is a perfect place for taking photos as well as go sightseeing. 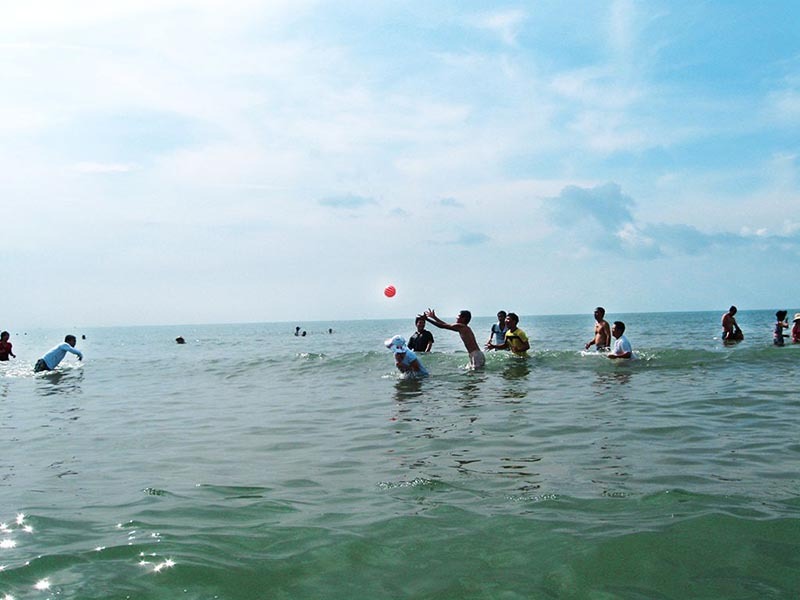 Besides, some sport activities such as football, volleyball, and badminton are usually played on the sand. If you’d like something more adventurous, join in whether flying or surfing jet skiing which is famous in Nha Trang generally and in Doc Let particularly. Mentioning Doc Let beach, you cannot ignore its amazing seafood and local cuisine. Having to say, Bun Ca (Fish Noodle), Banh Canh, Nem Nuong, Nem Phan are among the specialties of Ninh Hoa. It is true to say that those dishes are so unique and tourist can hardly find somewhere else with the same cuisine. The food is so much tasty giving visitors a wonderful time with their family and friends or even themselves. One more thing that you should try is to visit the seafood market opening from 7AM to 5PM every day along the beach coast of Doc Let. Despite being an unfamiliar name to tourists, Doc Let Beach plays an important role in lives of local people as well as those visitors coming there. Until now, it still keep its primitive beauty and tranquility which is so amazing compared to other interesting and a little bit noisy beaches in Nha Trang. Tourists should at least put this site into their list and visit it someday in the future or they will miss one of the most beautiful sites in Vietnam.